Tourist attractions can bring life to otherwise dying towns, and the quest to find unusual sights can become a fun way to pass the time during family vacations. Here is a list of some of the top weird tourist destinations in the United States; next time you hit the road, keep these attractions in mind when the kids or the adults are looking for something different to do! What they are: Yellowish-green floating orbs that appear on clear nights and have even scientists stumped. Some people think they are mirages in the Texas desert, others think they are evidence that aliens are among us. When to visit: On clear nights to see the lights, or time your visit and go on Labor Day Weekend to visit the three-day Marfa Lights Festival. 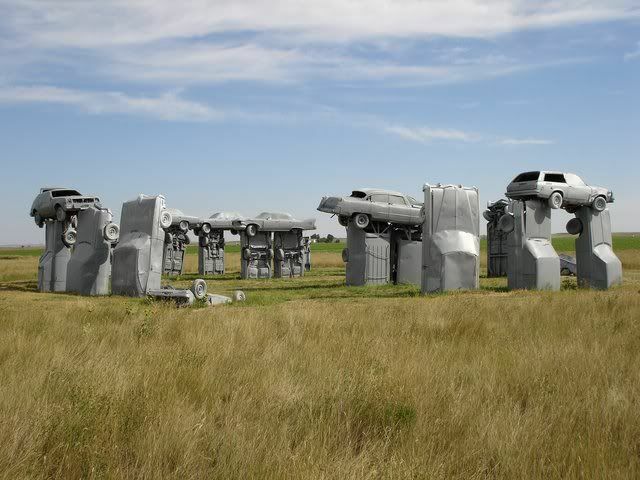 What it is: A life-size Stonehenge replication built out of junked automobiles that have been painted gray to resemble the famous stones. Perfect for: People who want to see Stonehenge but can’t afford to travel outside the U.S. When to visit: This attraction is open 365 days a year, but visit during daylight hours for the best view. What it is: A private home museum featuring over 1,000 decorated toilet seat covers. What it is: The biggest ball of twine in the world ever to be built by one individual. There was a song written about it by Weird Al Yankovic, and Clark Griswold was keen on the idea of large twine balls in National Lampoon’s Vacation. Perfect for: Fans of National Lampoon’s Vacation or Weird Al Yankovic, and people who like to look at really big things. 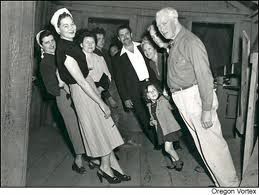 When to visit: Visit when it’s warm outside, because you’ll be standing outdoors to view the attraction; the second Saturday in August is Twine Ball Days. What it is: House of Mystery that was featured in a 1999 episode of the X-Files appears to defy the laws of physics, with brooms that stand on their own, things seem to roll uphill, and everything hangs at a strange slant. Heather Johnson writes for HoneymoonDestinations.org, the best honeymoon research and planning website. Discover some great honeymoon ideas today!